Click here for more Domestic Violence resources. 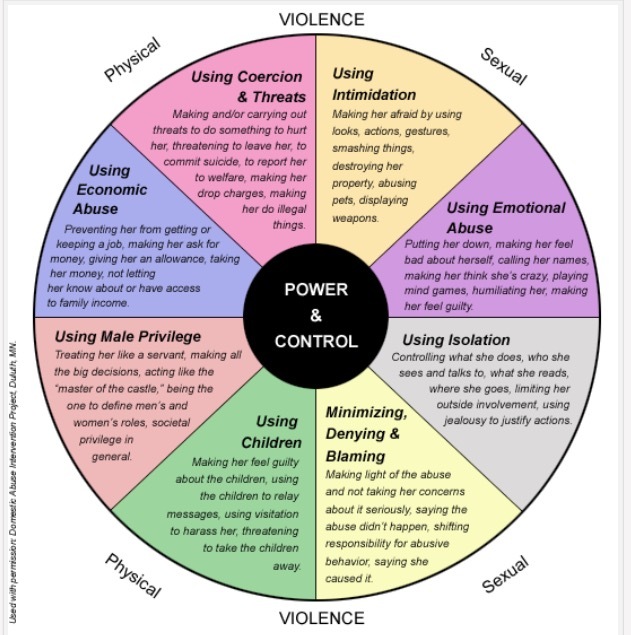 ﻿Domestic Vi﻿olenc﻿e﻿﻿﻿﻿ is a chronic abuse of power. ​It isn't just hitting. The abuser controls the victim through threats and intimidation. Physical violence is often the end result of months or years of intimidation and control. If you are in an abusive situation, be aware that internet and phone use can be traced by your abuser. Please take precautionary measures. How Can I Help A Friend or Family Member Who Is Being Abused? Find more great articles on our FaceBook or Twitter (@Bamboo Bridges) pages! 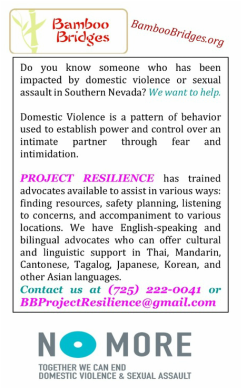 Provides statewide advocacy, education and support to those impacted by domestic violence. Nevada VINE is a free and anonymous telephone and internet based service that provides victim of crime and concerned citizens with offender custody status updates throughout the State of Nevada. DISCLAIMER: We are not liable for the contents of any external websites listed, or for any actions made by a user based on the contents of these extermal sites, nor do we necessarily endorse any product or service mentioned or advised on any of these external sites. Any data or information is provided for informational purposes only, and is not intended for any other commercial or non-commercial purposes.